Consisting of four short scenes and an unnecessary epilogue set 'backstage' where the actors turn back into civilians, Letters Home is surprisingly slight for a two hour flagship production at the Book Festival. Only Grid Iron's own Ben Harrison deals with broad themes, in the exchange of letters between Eve and Cain, while the others are content to give brief, moving snapshots of specific cultural moments. 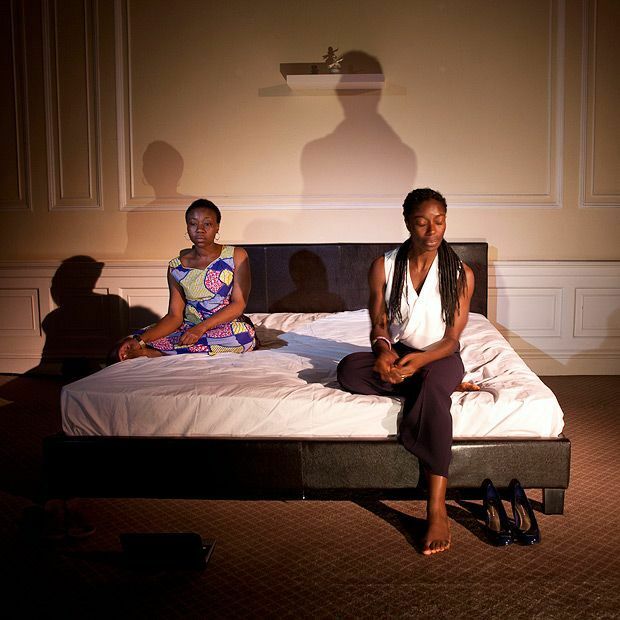 The tension between American and African attitudes towards lesbianism, a tale of a Jamaican seeking asylum in the UK as either a real or fake 'funny man' and a correspondence between two Muslim conscripts in WWI: all evocative and rich in political resonance, they struggle to expand the themes beyond the immediate story. The site-responsive staging is reduced to adapting smart town houses: again, it is Ben Harrison's entry that makes the most of the possibilities. However, each of the four stories are charmingly executed, and the range of approaches (from film through performance to audio recordings) reveals the different forms available to theatre-makers, without feeling like a simple showcase. The idiosyncrasy of the episodes' plots prevents Letters Home becoming a grand statement about the nature of exile. Each one has a tragedy, but these are more on a personal scale. They all share a compassion for their characters – no simple good and evil here – but the themes of each work do not combine to create a sum that is more than the parts. Despite the good acting, and the individual parts being moving and eloquent, the movement between sites and the final epilogue make the event last longer than necessary. It makes subtle points about how exile can happen, but fails to expand its vision to broader ideas.